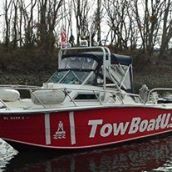 Towboat Philadelphia LLC is a leading boat towing and marine salvage services provider operating on the Delaware River. Our staff of marine experts boast decades of experience. We have the capacity to tow large and small boats, in addition to offering expert marine salvage operations. Over the years, our track record with satisfied clients, is beyond reproach. Although we serve in a very competitive environment, we have risen to the pinnacle of the industry through sheer hard-work, innovation, and reliability. Towboat Philadelphia LLC also believes in supporting employees to ensure personal and professional growth. We, therefore, have a tailored employee program to ensure that our employees can work with a smile on their faces. For instance, we offer continuous training and fair compensation. To this end, we have been able to attract and retain a pool of professionals committed to ensuring customer satisfaction and business growth.